Some 25 years after the beginning of the Oslo process, this prolonged period of conflict management and of transition without end will not lead to a solution that meets the needs and aspirations of Palestinians and Israelis. The report notes that Gaza – an occupied Palestinian enclave – continues to present the greatest risk of escalation alongside an acute humanitarian crisis with the potential for a complete breakdown in service delivery. First, the humanitarian crisis must be addressed to ensure hospitals and health clinics function, essential drugs are available, sewage and water treatment is provided, and the electricity situation is immediately improved. Second, increased efforts are needed to finalize the reconstruction of physical damages from the 2014 conflict, and simultaneously to revive Gaza’s moribund economy, and revitalize its productive sectors. Third, investment in longer-term infrastructure projects is needed to ensure Gaza remains livable. 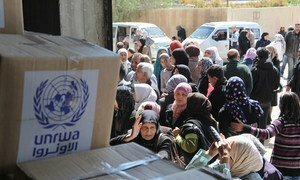 The report also stresses the need for a changed political reality on the ground, including the resumption by the Palestinian Authority of its full responsibilities for the people, governance and infrastructure of Gaza. Hamas, a Palestinian faction, must cease its military build-up, including the construction of tunnels and the firing of rockets towards Israel, while Israel’s closure regime must fundamentally change to allow for the recovery and development of the Strip through movement and access of people and goods.